Road Trippers: 5 Key Checks You Need to Make - Muscle Cars Zone! For many, going on a road trip is right of passage; it is your opportunity to kick back and relax and disconnect from the constraints of the everyday. You`ll explore new areas, meet new and unexpected characters and live life at a different pace and to your own tune. However, before you start loading your vehicle and congratulating yourself on your epic route, have you inspected your vehicle? You must not assume that your vehicle and any trailer you are taking is road-trip ready. You should devote some time for inspecting your transport, examining the vehicle and do all the key checks that the trailer parts are well maintained. Your vehicle relies on several fluids to ensure that it works to its full potential. The oil is the most obvious one, but you must also check the coolant, and brake fluid levels are at the manufacturer`s recommended levels. You must check the pressure of your tires on both your car (and that includes the spare in the trunk) and any trailer you intend to use. Look out for bulges, cracks and whether the treads are still legal. Tires with poor treads will not be able to drive efficiently or be able to stop in an emergency. TIP: if you need to check your tire pressure when you are on your trip, take measurements once the vehicle has been stationary for three hours so that you get an accurate reading. 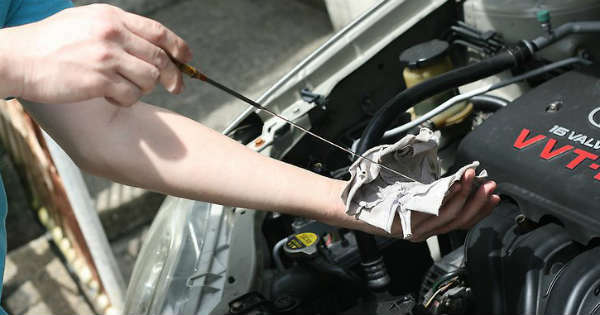 Check your engine`s hoses to identify if any of them have perished or are eroded. Tell-tale signs are parallel cracks where the hose has to bend or where it has a shiny surface as this is a sign of heat damage. The areas where the hoses are clamped are more prone to damage, so be sure to pay extra attention to these spots. Examine your vehicle`s battery to see if there is any corrosion around the terminals and cables. Battery corrosion looks like it is a salty residue around the terminals, so remove the caps and have a thorough inspection. Check that the fluid level of the battery falls within the manufacturer`s recommendations. TIP: if you are traveling in a hot climate, keep a bottle of distilled water in the trunk in case of emergency. You don`t need to be told about the importance of having brakes that work. You should take your vehicle on a preliminary journey and keep an ear open for any unusual noises or vibrations that may indicate a problem with the brakes. Examine the braking system for your trailer if you are taking one. You need to take every step to ensure your safety and that of other road users. A road trip requires a vehicle to be able to withstand the extra mileage and be supremely comfortable for the occupants, otherwise, you may find your road trip is more of a trap. Try to pack wisely, and only take necessities. By lightening the load, you will be able to drive more efficiently and increase the mpg. What do you think about this key checks?